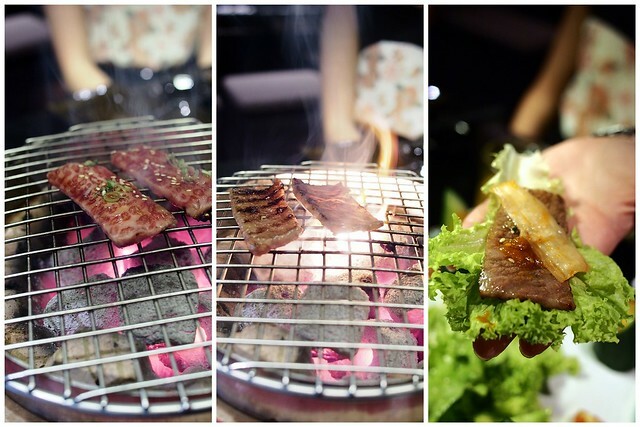 Gyukingu Japanese BBQ claims itself as the best Yakiniku BBQ restaurant in Malaysia and it is probably true! 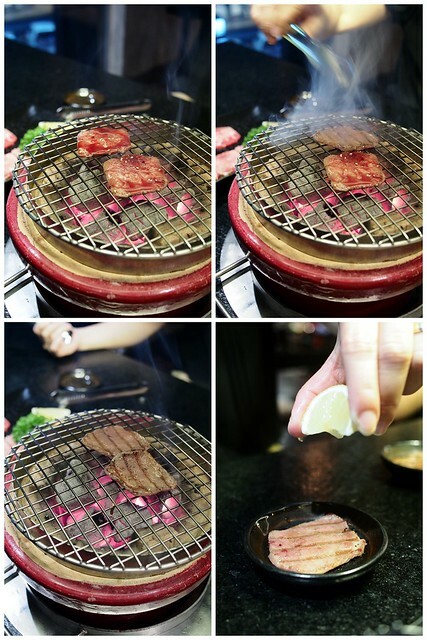 We were here once and we got to say that Gyukingu serves the juiciest, highest-quality grilled meat in town. 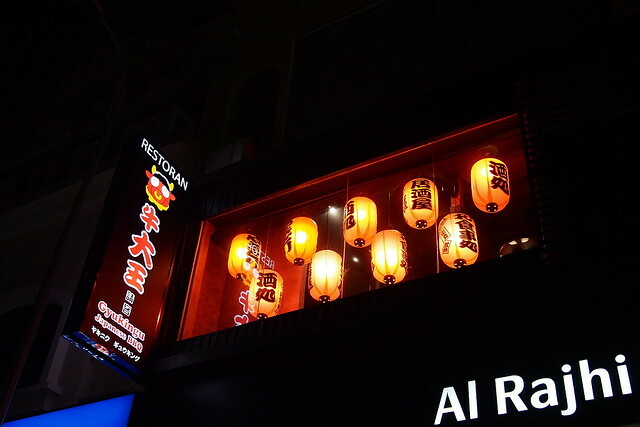 Located above Al-Rajhi bank next to Sunway Giza, the restaurant interior design is classy, refined, comfortable and clean. I liked the use of dark wood, dark coloured bar stools, grey slates wall with beautiful yet elegant lighting. 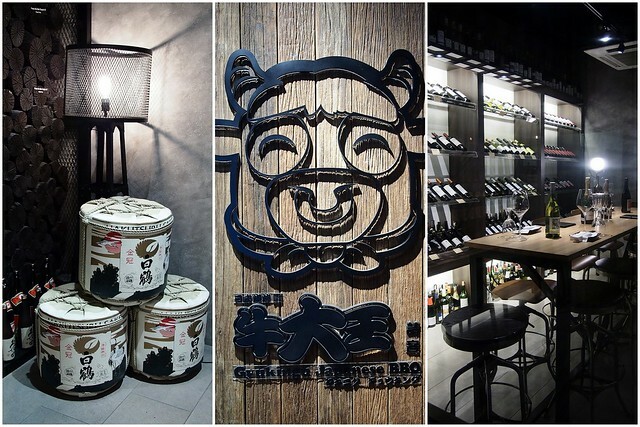 When you enter the restaurant, you will see a huge wine cellar with many brands from around the world. The wines are carefully selected by the owners. 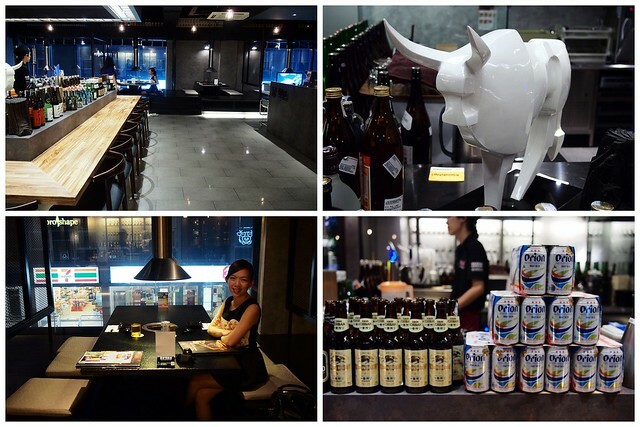 In fact, in addition to the extensive bottle wine list, the restaurant offers beers, sakes and shochu too. 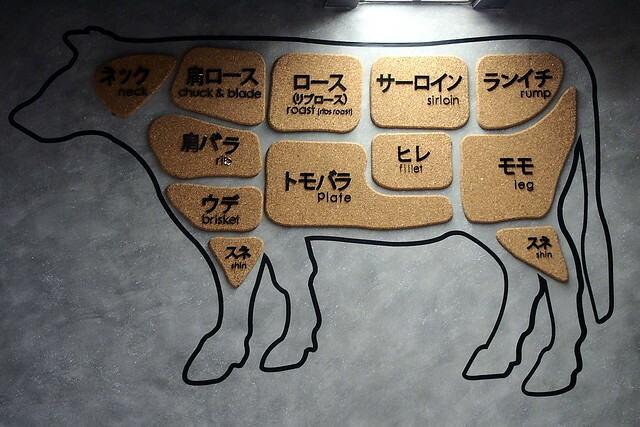 Beef is Gyukingu’s forte, as they serve beef with all kinds of breedings and feedings from different regions in Japan. However, pork and chicken can also be added to the same wire mesh grill, and internal organs are also much favoured. 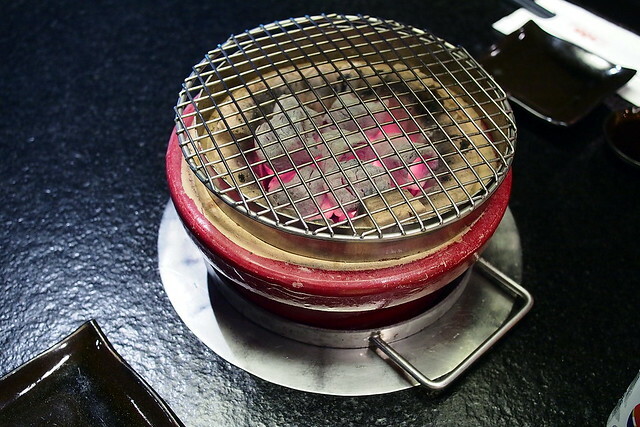 Yakiniku is a type of cooking where various types and sections of meat are grilled over direct heat on a wire mesh, and Gyukingu uses charcoal grill instead of a gas/electric grill. 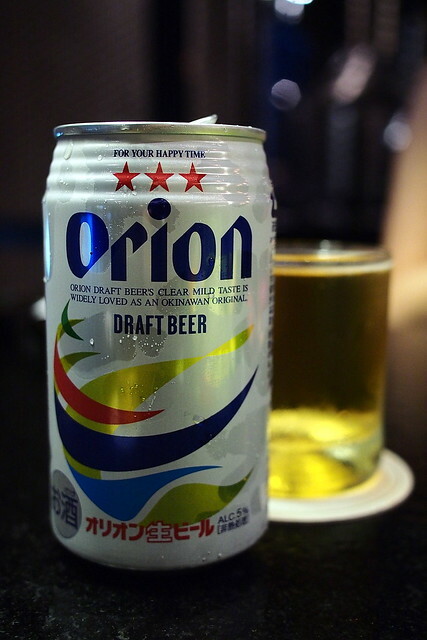 Orion Draft Beer from Okinawa is a Japanese Rice Lager style beer. It is very refreshing, with a light bitterness and mild citrus flavour. We started off with some complimentary salads which were fresh and crips, with the perfect amount of dressing. Kimchi and kkakdugi ( radish kimchi) were also included due to popular requests. We were told that when the Japanese dine in a yakitori restaurant, they will usually start with some greens, followed by meat and end with a bowl of rice and noodles. 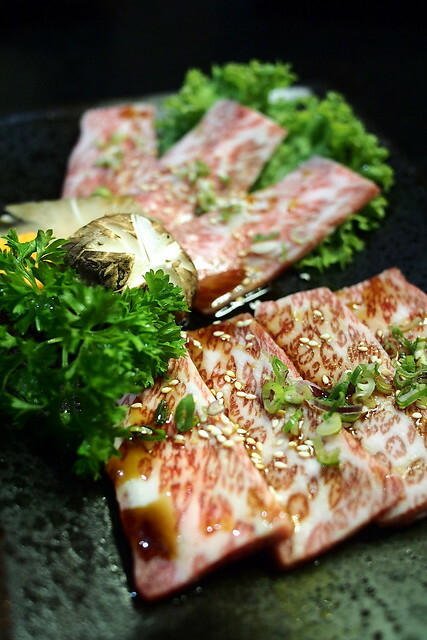 The tendency in Japanese cooking to place importance on the actual favour of the ingredients is reflected in yakiniku; which is why marinading is often kept to a minimum. We were told to grill the ox tongue for only one minute on each side and the best condiment is just a dash of lemon juice. It is hands down the best ox tongue that we have ever had! Even now, I can remember how springy yet juicy and succulent those slices of grilled ox tongue were. 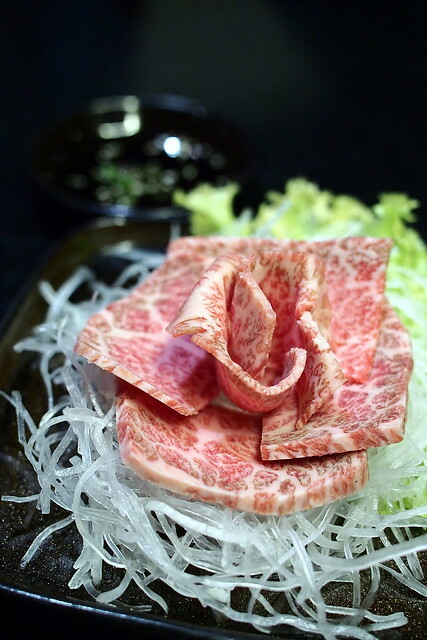 Saga Beef is recognized as one of the best brands in Japan, ranking with Matsuzaka Beef and Kobe Beef. It features fine meat with the perfect marblings. Saga region is located next to Fukuoka. 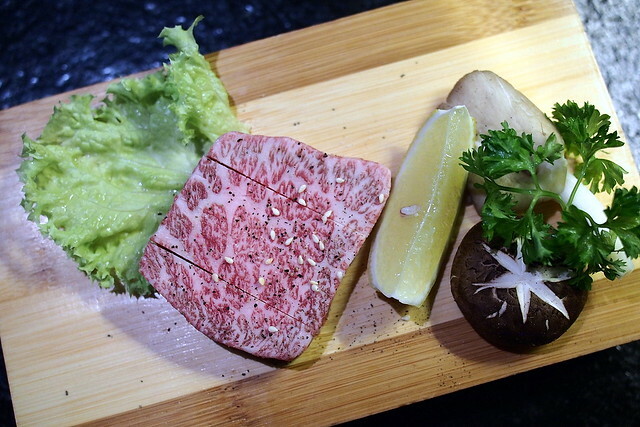 Its mild climate, pure water and clean air results in some of the most flavorful, rich, sweet taste of this highest graded Japanese beef. The simplest way to prepare the saga beef is to simply season the cubes with just a little bit of salt as they cook. I really enjoyed the rich and sweet taste. 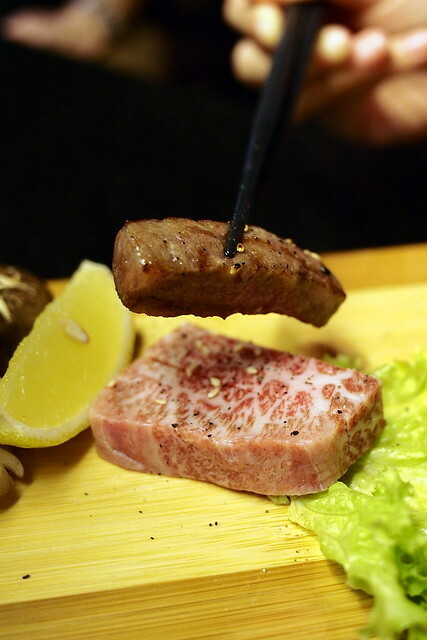 The tender meat has fine marbling and the fats just literally melts in my mouth. So good! 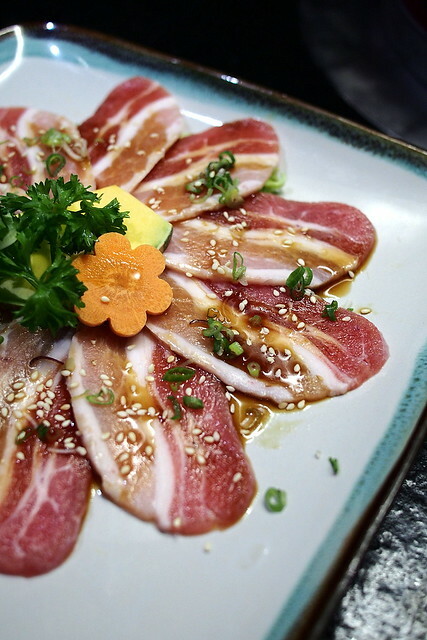 The Saga beef indulgence continues as we were served with this sliced beef with special marinate. The sweet and salty flavors of the marinade meltes with the meat as it was being grilled. It went really well with some greens and even kimchi, just like Korean BBQ. 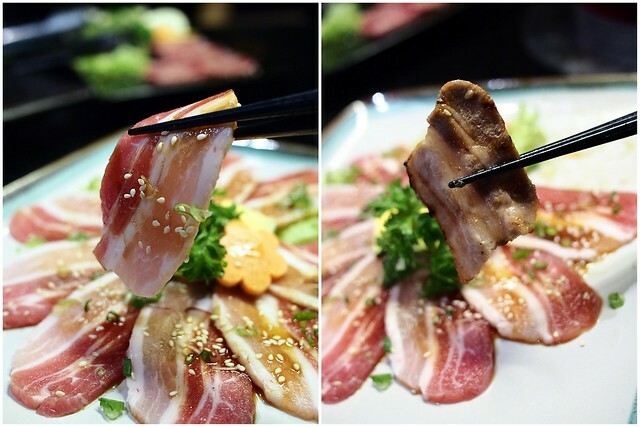 Here comes the killer – Wagyu Sashimi (RM135). 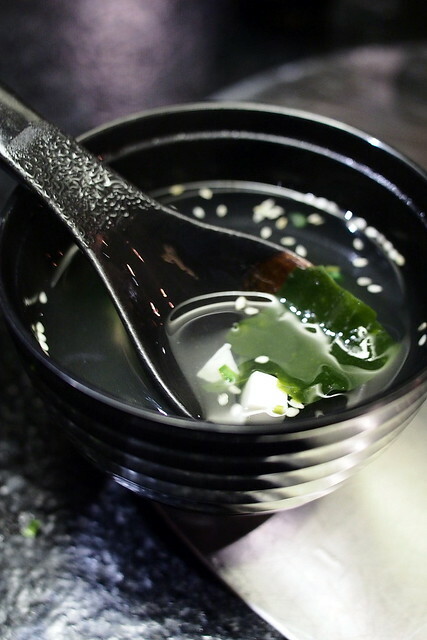 We dipped it into the soy sauce, dashi broth and green onion condiment before popping it into our mouths. We took our own sweet time to enjoy its texture, tenderness and superior flavor. The fats simply melts in my mouth, just like having ice cream! Sakura Pork Belly (RM15.80). Sakura Park is actually Malaysian’s pride. The pigs are raised in a farm in Bidor without antibiotics and beta agonist. The meat was leaner, not so tender but very firm and springy to bite. 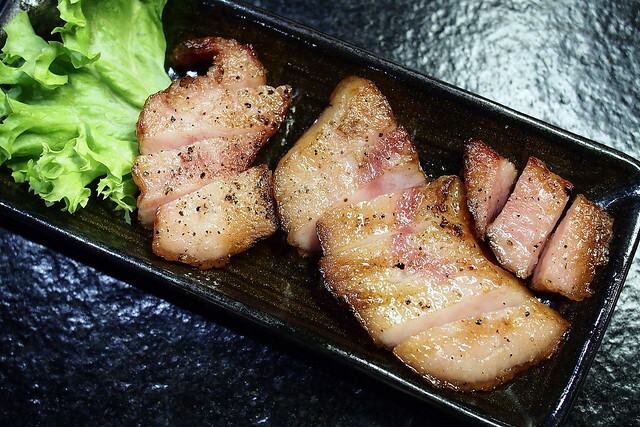 Okinawa’s Iberico pork bacon is also available here. Remember to enquire with the staffs as it is an off menu item. It consists of both firm and soft fat layered with meat. I was a bit conscious at first, as the lean to fat ratio seemed low from what we saw. However, as I took a bite, the fat layers were firm and springy so I did not have the “jelak” feeling. 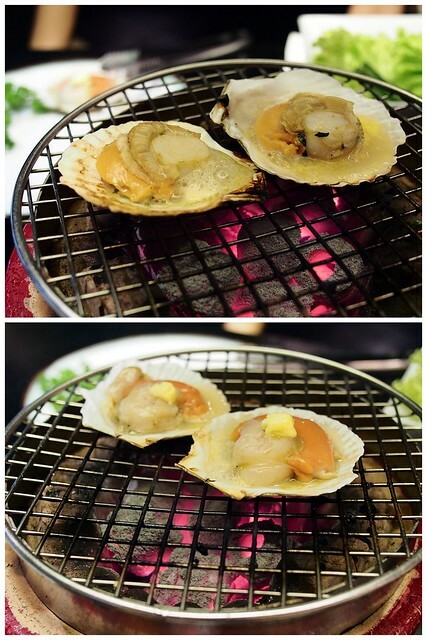 These grilled jumbo scallops with sake and butter were so good! I loved the rich, sweet flavor and delicate texture. 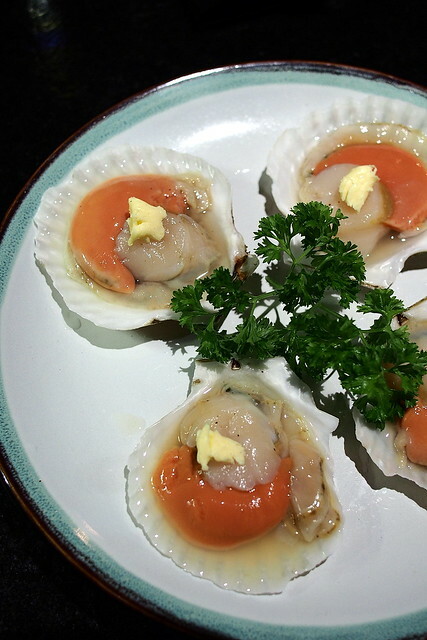 We could not resist sipping on the remaining of sake and butter gravy on the shell! 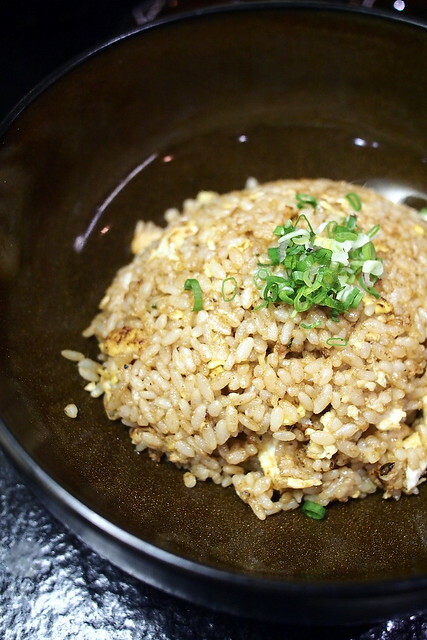 After all those meat, it is time for some garlic fried rice and seaweed clear soup. It is usually served to fill up one’s tummy after all the grilling action. 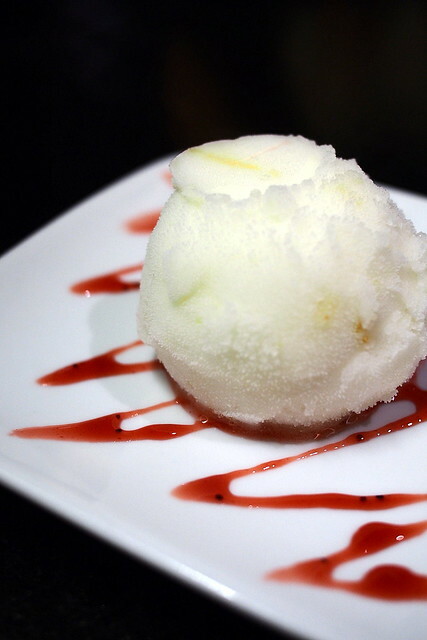 Eating yuzu ice cream is a refreshing and delectable way to cleanse our palate at the end of our yakiniku meal. 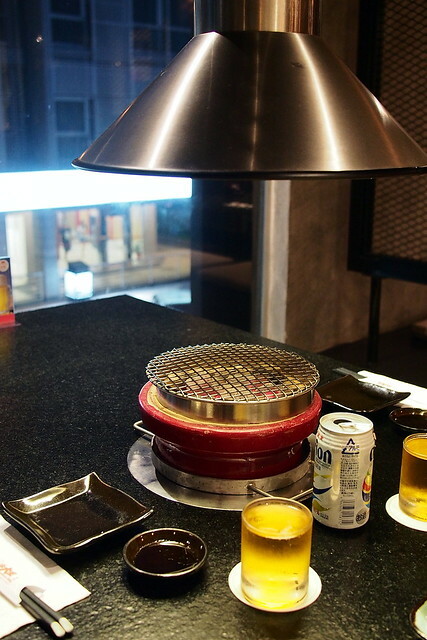 There are two important points when it comes to the top yakiniku experience. The first is of course, the quality of the ingredients. The second is the way of grilling the meat. 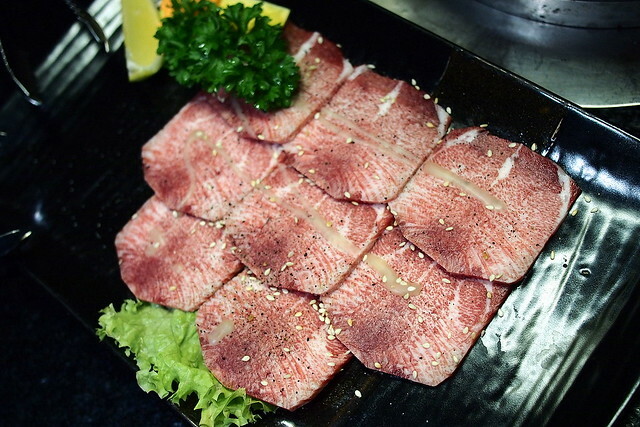 Gyukingu Japanese BBQ succeeds in these factors as it carries some of the best slabs of meat around, and their wait staffs are always there to help to grill. 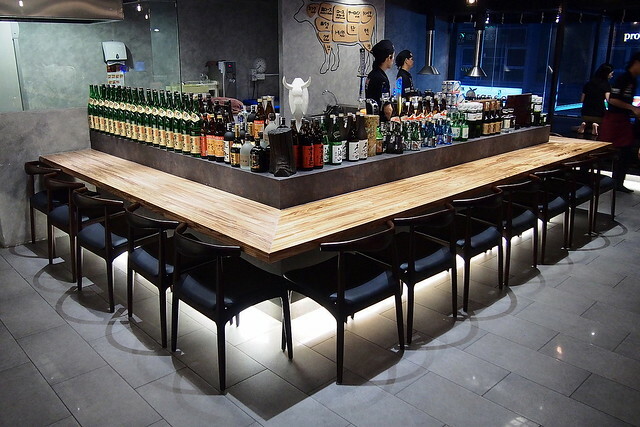 Gyukingu is definitely a good place to go to when you feel like splurging for some really premium cuts of beef. 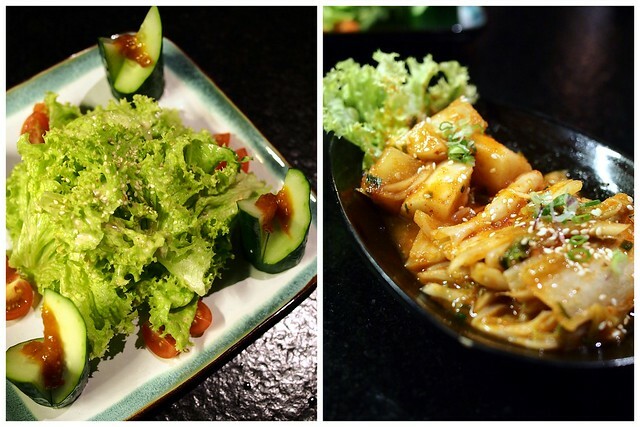 However, for those who are budget-conscious, a dinner set meal for two starts from RM 100. Set lunches are mainly below RM 20. We will definitely revisit as I can’t stop drooling while I was writing this post. 28-2, Jalan PJU 5/17, Kota Damansara (above Al-Rajhi bank).